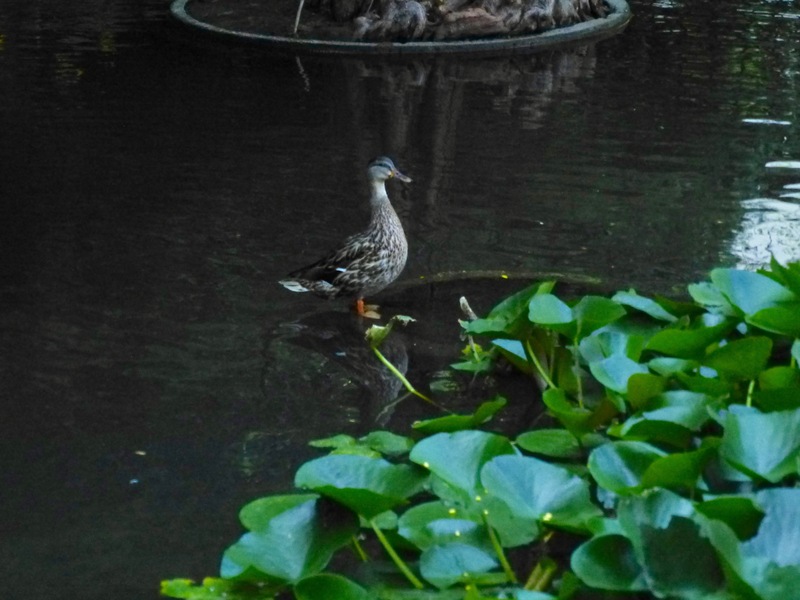 Honey the duck is pulling the same stunts she did last year: before finally leaving, she absented herself from the pond for a day or so, and then returned. She did this about three times in late August of 2017 (she finally left on September 1), and has done it again—she was there this morning, and ravenous. Here are some photos of the morning feeding. 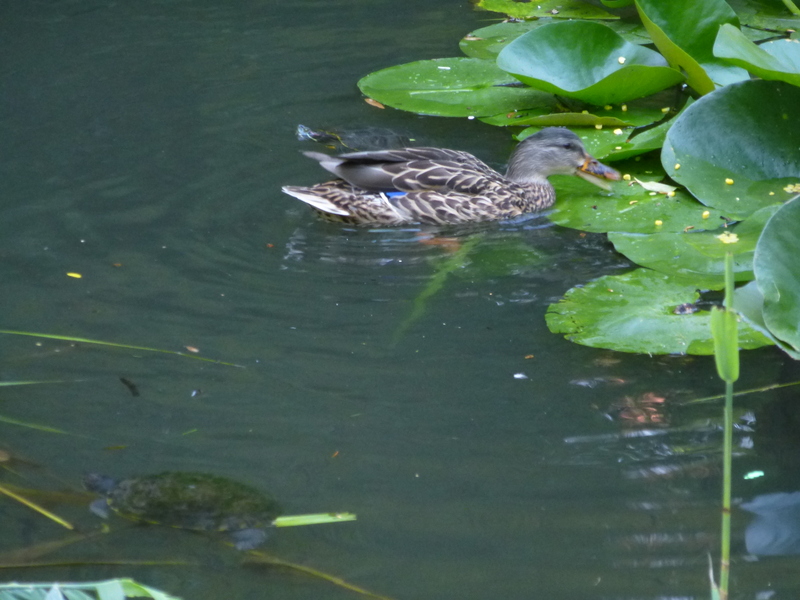 It was pretty dark around the pond, so shutter speeds were low and the photos slightly blurred. But there’s no doubt this is Honey: look at the mottled bill. Sadly, she is without her drake Jim (James Pond), whom I hoped would act as her guide and protector on the flight south—or wherever she goes. But I’m happy to see her again! We’ll feed her up for migration. This entry was written by whyevolutionistrue and posted on August 22, 2018 at 8:10 am and filed under ducklings, ducks. Bookmark the permalink. Follow any comments here with the RSS feed for this post. Both comments and trackbacks are currently closed. 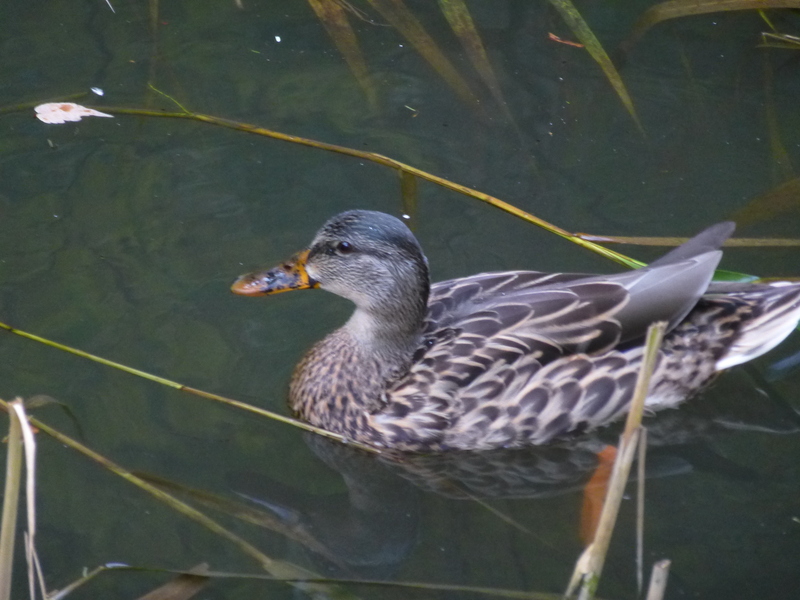 Out of interest, does anyone know where mallards breeding in the Great Lakes region spend the winter? How far south do they go – e.g. the Gulf Coast?? Great Lakes breeding area mallards don’t all migrate, but the vast majority do. They have a ‘flyway’ that centres on the Mississippi & they’ll winter from just south of the lakes right down to the gulf. The flat flooded plains of the Mississippi Alluvial Valley & the waters that feed into it are most popular. But the above is a general picture some mallards from the Great Lakes take to the east coast & some take to the west of the Mississippi flyway. 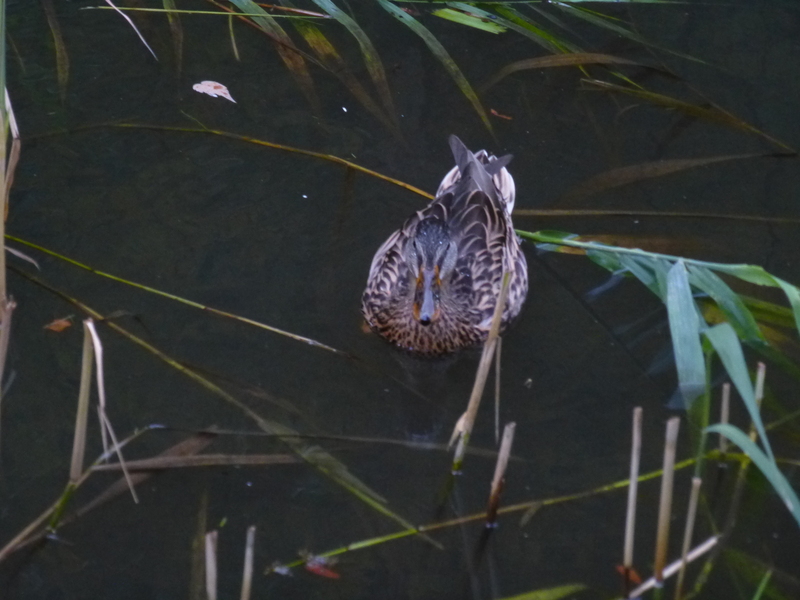 The ways of ducks are mysterious. I was never 100% on this being Honey from last year until she started pulling this break-up on the installment plan stuff again. Now I’m sold. See ya again next year, sweetheart. What a happy bit of news to brighten this day! But now I wonder…we have ducks here in Bellefonte, PA, in the center of the state, and those ducks stay around in the winter. And I wonder why they don’t fly away like Honey does. And how on earth do they stay warm enough?? Oh jeez, did Honey take out a life insurance policy on James Pond? Absence make the heart grow fonder. See! I pegged that bloke as more of a Waldo, not a James. Now you see him, now you don’t. Bet he’s lost in a raft of Honey suitors.